Mach Wall & Davinci Haus booth (#3020). MachWall - "MachWall™ replaces traditional site-built construction elements and introduces a time-saving method of completing the internal partitions of any building; infusing speed with quality green materials." (quoted from company website). Davinci Haus - German engineered modern green building. Aug 28, 2017, 7:00 p.m.
Part 1: 3/16/2016, 9:30 a.m. Part 2: 3/16/2016, 1:30 p.m.
Green Architecture: What is it? 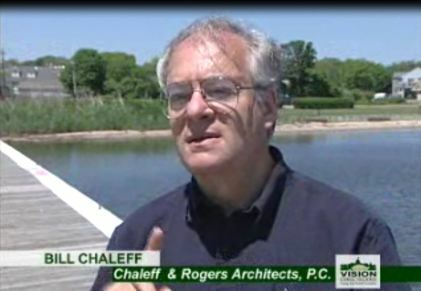 A talk with one of the East End's leading “Green Architects” Bill Chaleff about his work, affordable housing, zoning, and how to deal with ground water pollution by our septic systems.